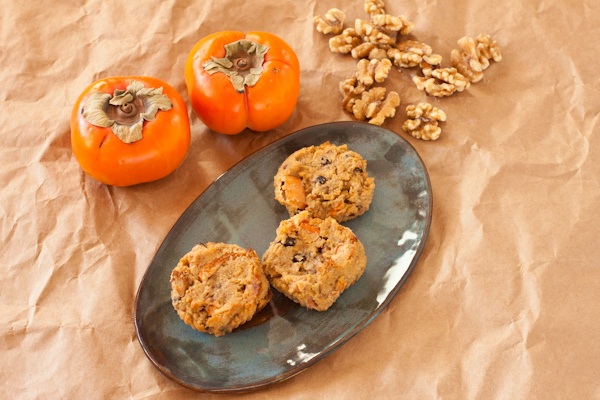 Rich, chewy persimmon muffins with a dense, fruity texture. I picked up a couple of persimmons and wanted to try making a grain-free, egg-free, gluten-free muffin from an older recipe of mine. I am trying to eat foods without any added sugar, lower in carbs, and packed with nutrition. Is it too much to ask that they also be utterly decadent? These aren’t the prettiest muffins, because they don’t have egg to give them lift. I confess, I wasn’t going to photograph them for the blog. But they are so good… and were even better the second day. 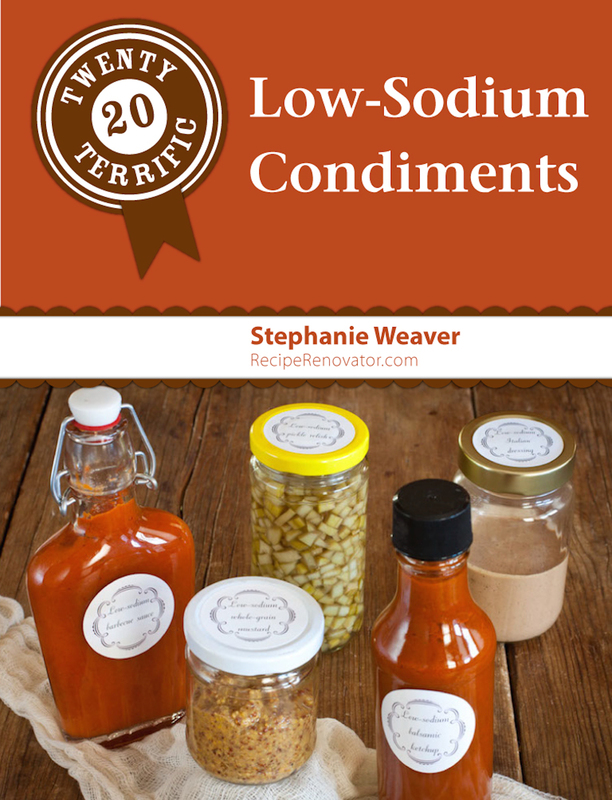 If you don’t have persimmons, substitute firm pears and treat them exactly the same way. 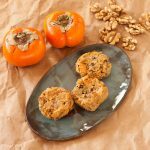 Enjoy these rich, chewy persimmon muffins with a dense fruity texture. They're grain-free, egg-free, gluten-free, loaded with nutrition & utterly decadent. Line 20 muffin tins or use silicone muffin liners. Whisk together flours, psyllium husk powder, baking soda substitute, and spices in a large bowl. Juice enough carrots to make 1/2 cup juice, then measure 1/2 cup carrot pulp. Remove or finely chop any large pieces of carrot. Add the carrot juice, vanilla, olive oil, and milk to the bowl. Mix well using a spatula to get the dry bits up off the bottom. Peel the persimmons, leaving as much flesh as possible. Remove the core and chop into ½" dice. Chop the walnuts into similar-sized pieces. Add in the chopped persimmons, carrot pulp, walnuts, and currants and mix until evenly combined. Spoon the mixture into muffin tins (I use an ice cream scoop) and smooth the top. Put into the oven on a center rack. Check after 35 minutes. Bake until they are firm and starting to get lightly brown on the edge. Let cool completely on a wire rack.